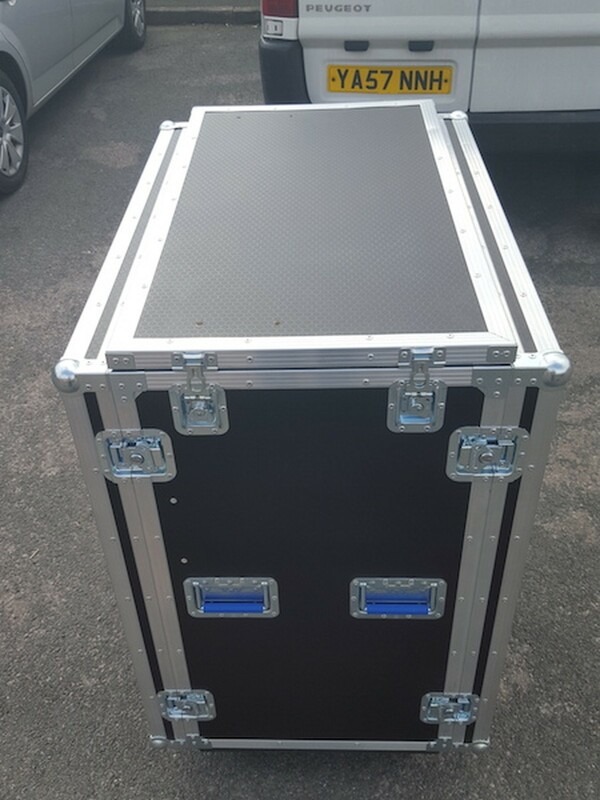 Mobile bar fridge flight case, perfect for helping to transport your fridge to events. Stops your fridge from getting damaged or scratched during transit. 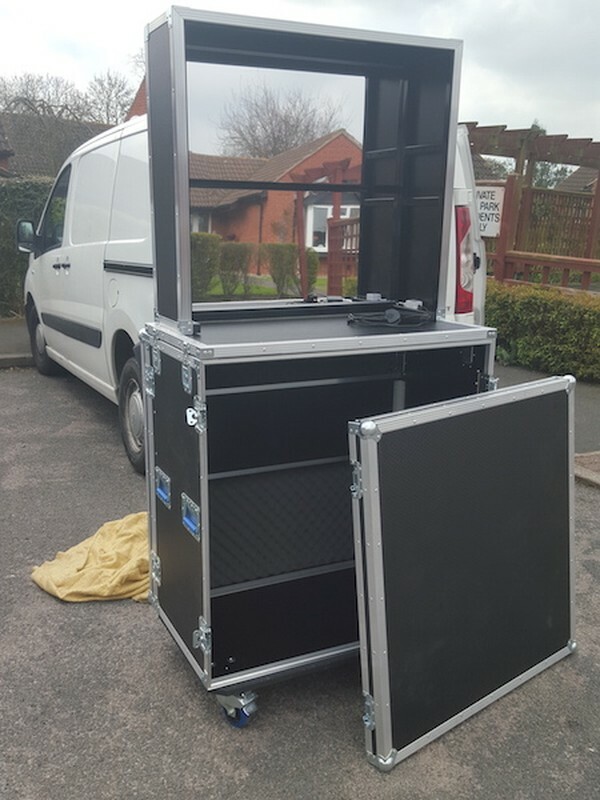 Flight case is on wheels to aid mobility, and comes with handles to help lift it on and off your van. 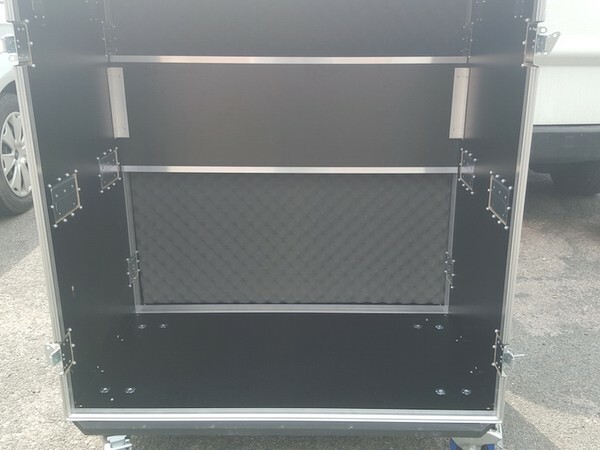 Also you can use a ramp to push the fridge flight case on to your van. 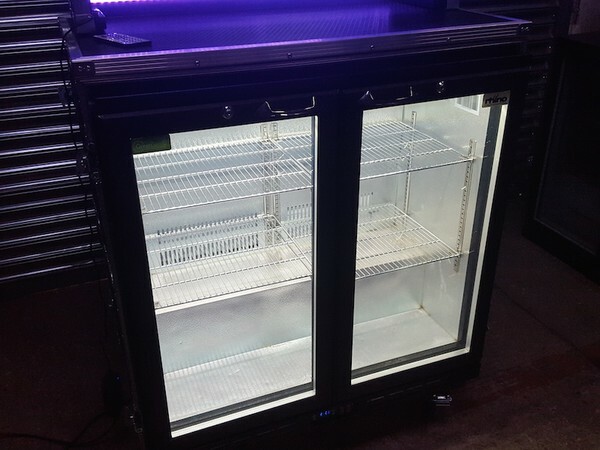 You don’t have to remove the fridge from the flight case to use it as the back and front panels are removable allowing you to use it as a back bar. Lids are fully lined with foam. Can be supplied with removable and strengthened counter tops in different colours and styles. 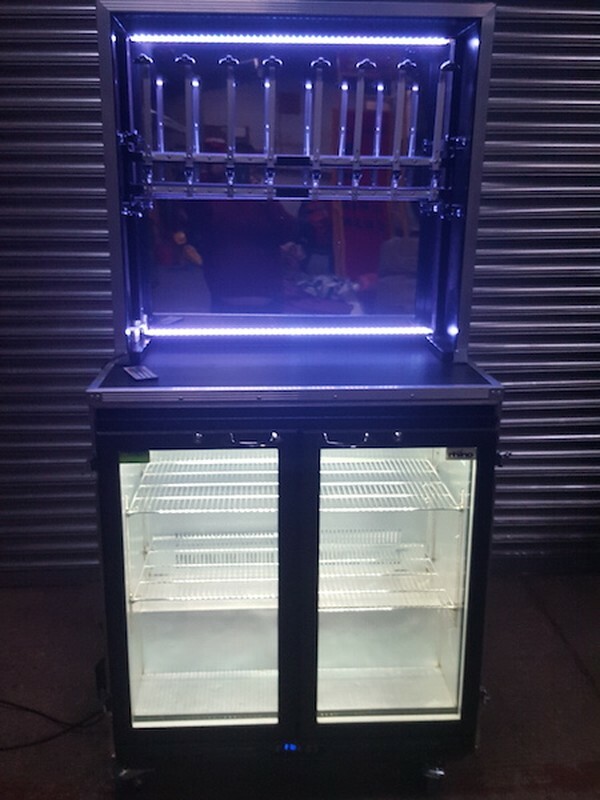 Prices start from £65 for a single catch removable counter. 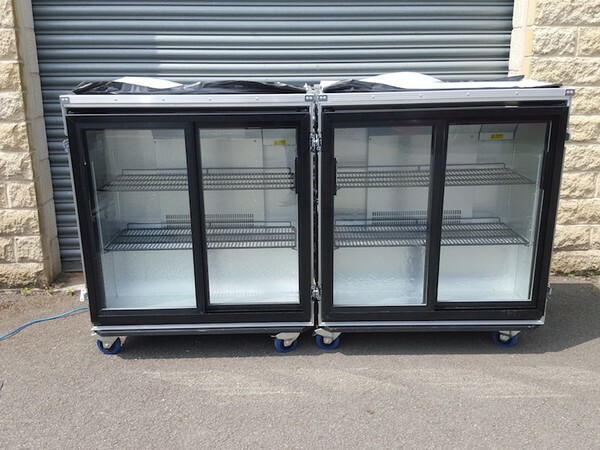 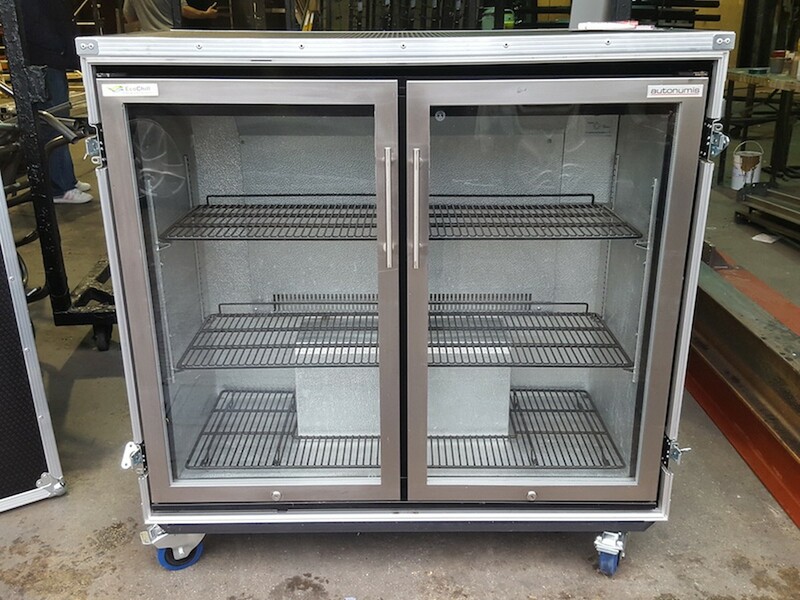 If you have a fridge that is not a standard size, the flight case can be built to fit your fridge or if you have a single or triple door bar fridge that you require a flight case for, one can be made. Can supply waterproof power supply/hook up. 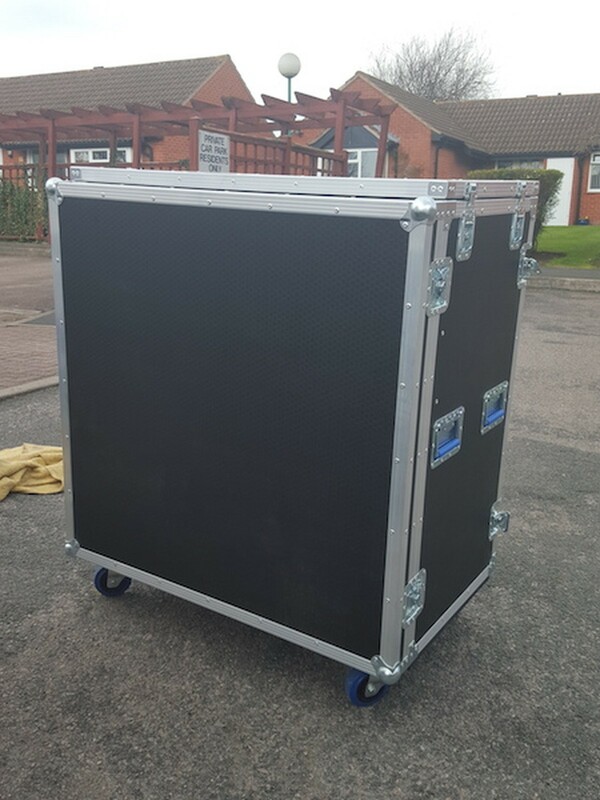 Situated in Derby, 20 minutes from Nottingham.